When many people look around their home, they do this with the thought of how they can beautify their living space. After all, home is more than where the heart is, it’s where our family is hanging out, and we spend a lot of time within those walls. Keeping things beautiful and up-to-date is indeed one way for us to be able to enjoy it to the fullest. 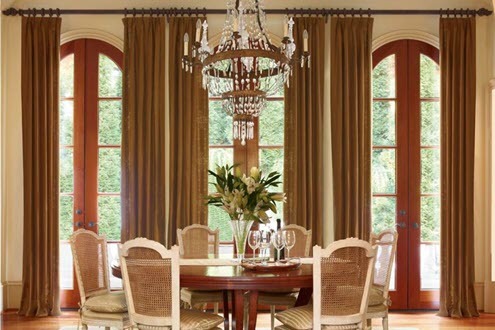 Of course, when you’re looking for different options as to beautify your home, window treatments are always a choice that can make a dramatic difference. Rather than completely rearranging each room from the ground up, we can change the window treatments to update the feel and look of each room. When you add color and texture, it helps to add to the overall feel of the decor, and it can even help to adjust the perception of the room in so many different ways. Rather than looking at the coverings for your windows as just being one of the options within the room, you can make it the primary focus, if you desire. In reality, there are so many different ways to beautify your home by covering your windows that it is difficult to put them all within a single article. It is essential, however, to keep a few things in mind to help make the most up to date, or even the most creative choice’s for your lifestyle and your family. For some people, going bold with the window treatment in Orange County is going to be the obvious choice, but for others, they may want to make more subtle changes. By keeping things in line with your overall decorating style, however, you can allow the windows to blend in rather than having them stand out unnecessarily. Do Certain Colors Appeal To Your Window Fashion and Decor Taste? Are you somebody that tends to focus on the primary color and then adds an accent color? The window treatments are an excellent way for you to do so. In fact, it’s a unique way for you to pull in some additional color to the room and to make the overall look and feel something that is appealing. Your Consultant Can Help – Blinds, Draperies, or Shutters? As you can tell, choosing window covering is not something that should be taken lightly. When you look at the available options and fit it in with your overall lifestyle, however, you can make a choice that is going to be right for everyone involved. Our company Blinds Plus Designs offers many ways to treat your windows with color, texture, and energy effeciency.